Let’s completely ignore the fact that I’m more than two months behind, shall we, and jump right into this. So here is a quick little July travel recap…. errr… at the beginning of October. (And don’t be surprised if you see re-caps for August & September real soon too). July was a really good month in a lot of ways. 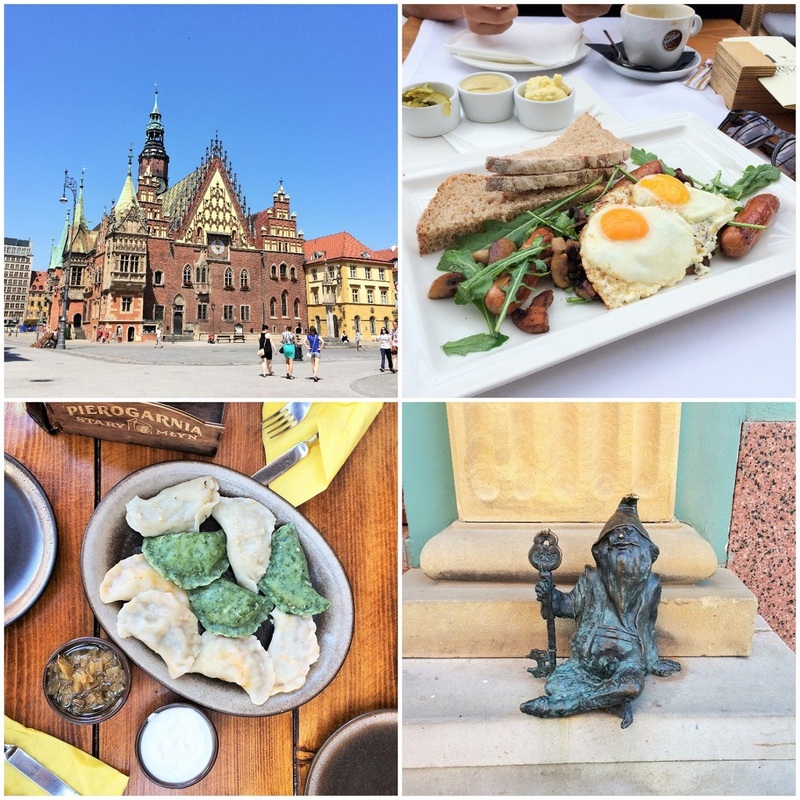 For one, we started the month with a week in Wroclaw, one of my favorite cities in the world! We had spent 4 days in this city last summer and fell in love with it (okay… maybe i should say we fell in love with one certain restaurant) so much that I knew we had to return this year. I’m proud of us that we made it a point to eat at different restaurants this time, though you can bet that Pierogarnia was part of the regular rotation. We didn’t do much in Wroclaw aside from (sometimes twice) daily ice cream cones and gnome hunting around the square. But for anyone looking for tourist tips, I can offer this: the Racławicka Panorama is absolutely breathtaking and worth every penny to see. 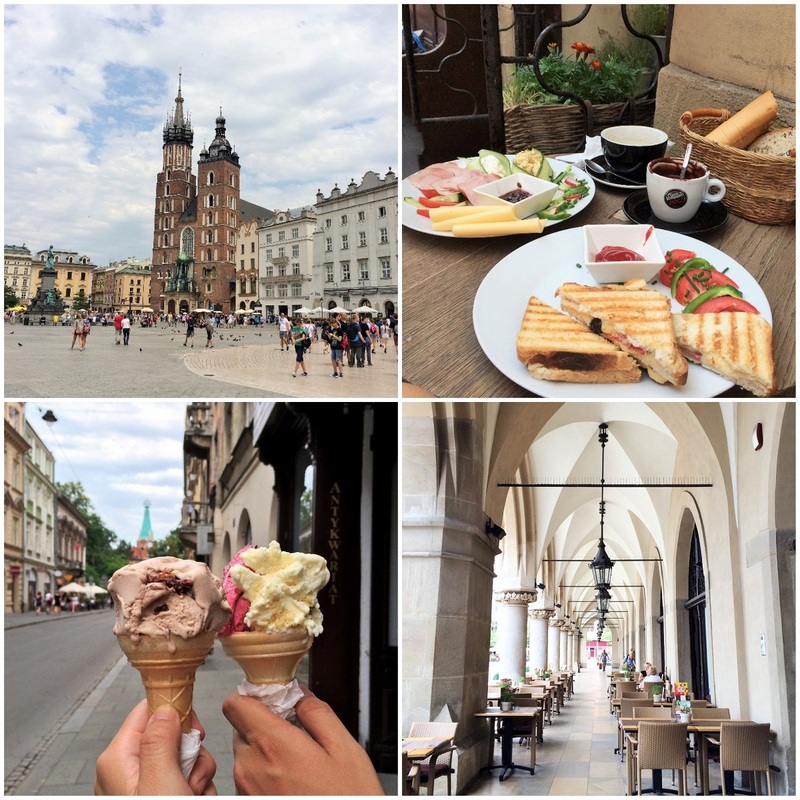 We made a quick two day stop in Kraków because we needed to fly out of the airport. This visit was short, but we had fun revisiting old favorites and discovering some new ones. Kraków is never a bad idea! And then we were finally in Lyon! A place we’ve been dreaming of ever since seeing Bourdain’s episode featuring this city. And yes, the reason we wanted come here was purely because of its reputation as France’s gastronomical capital. What else is new? our street right next to the river! It wasn’t long before we settled into the French life. 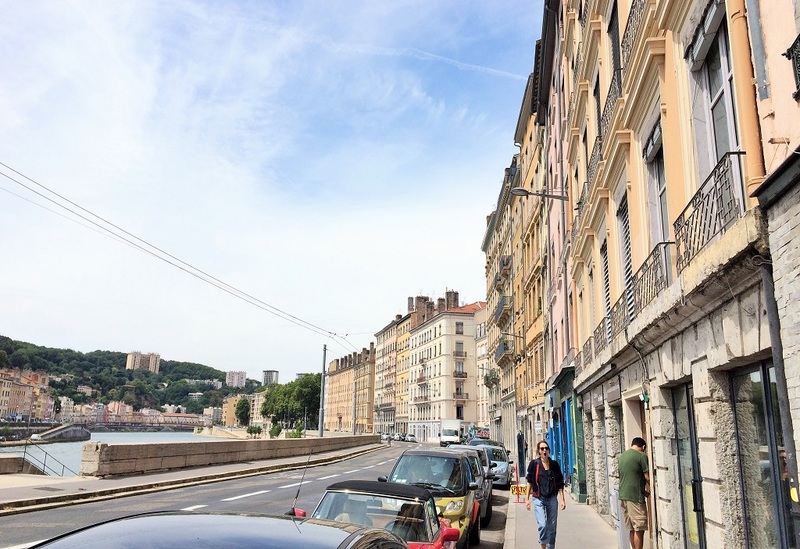 We both instantly loved Lyon with its friendly locals, slower pace, and of course, the to-die-for food. We quickly scoped out our favorite neighborhood boulangerie, fromagerie, charcuterie, and boucherie. With so much good, fresh food, we opted to go back on the 4-hour body diet and cook ourselves most of the days. 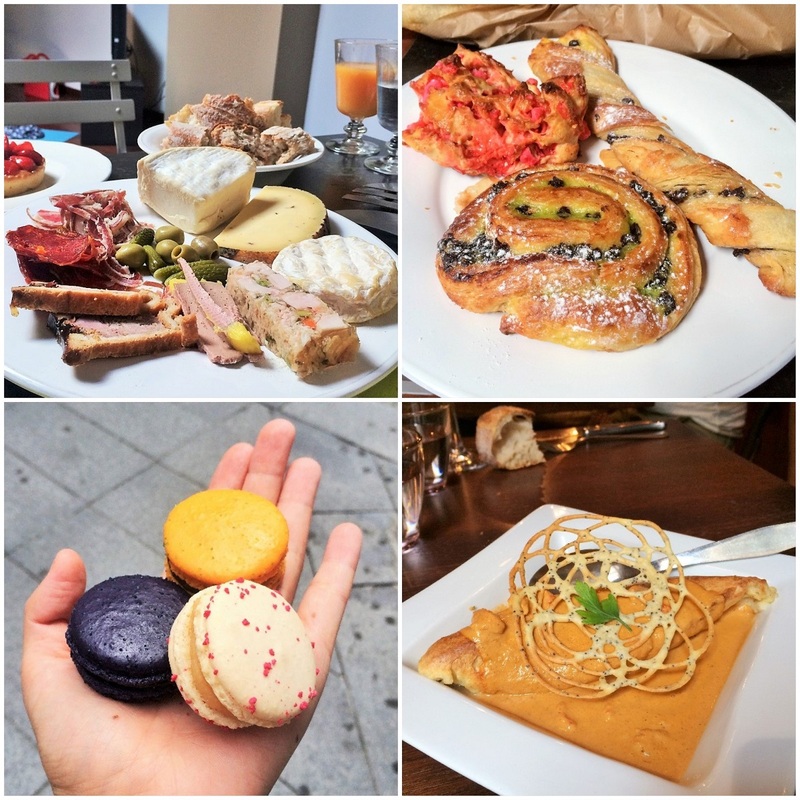 On cheat days, we went nuts with baguettes and pastries. And of course, we had to check out a couple of the renowned bouchons (I absolutely can’t wait to write about those!). Lyon was a lovely city, but what made it really special and fun was the fact that for the first time ever since we started traveling, we had friends (aside from family). Real friends! People we can get to know and hang out with more than just once! On our second day there, we met another young entrepreneur couple who had just arrived in Lyon as well. What started out as an early evening meeting turned into a night of bar hopping and good conversation until we found ourselves closing down the bar (not that it’s hard to do in Lyon… as bars close at 1 am). It was great to connect with people who believed in the same lifestyle and had similar views and goals. 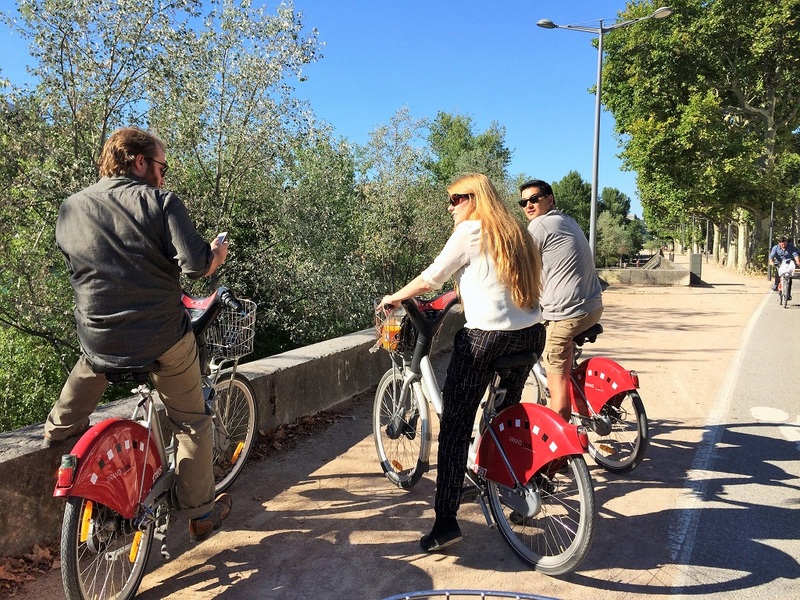 Together, we explored the city, from the bouchons to the nightlife. 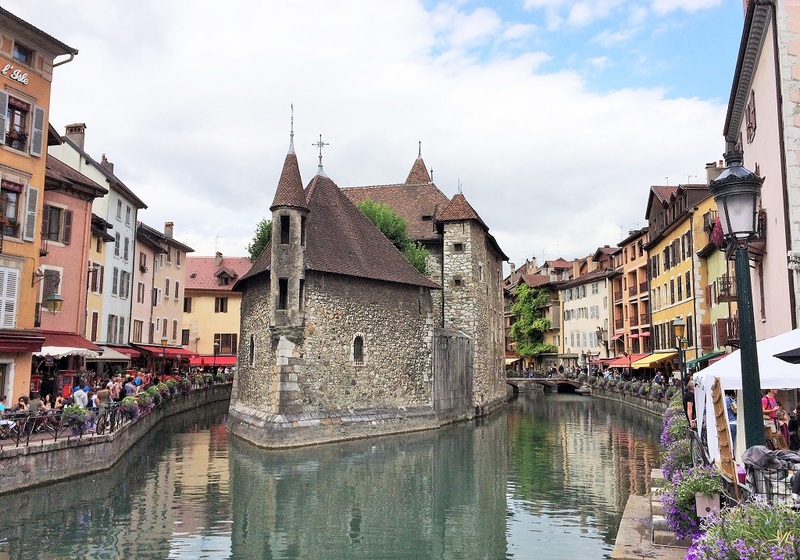 And together, we rented a car and took a day trip to Geneva, Switzerland, stopping at Annecy on the way. 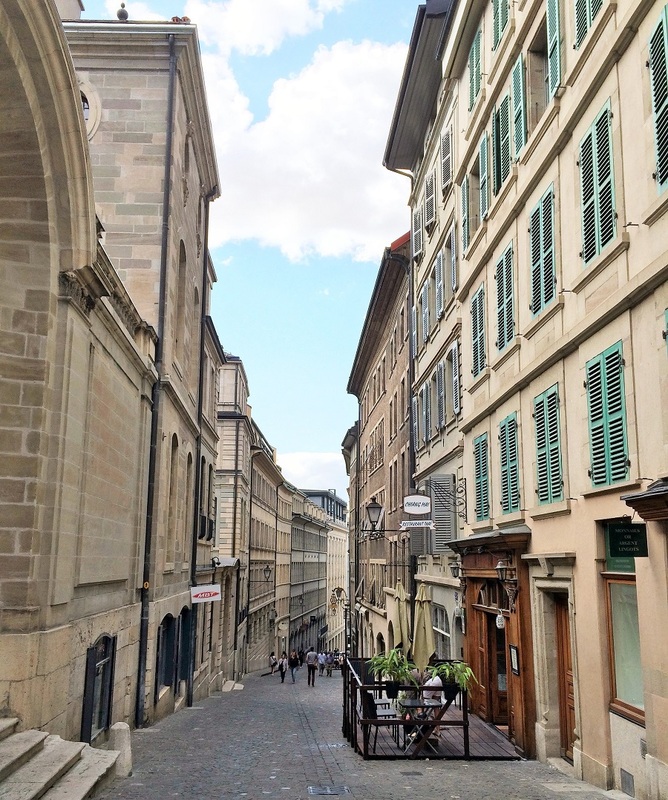 Geneva, on the other hand, was… completely dead on the day we visited. Not sure if there was a holiday that day, but nothing seemed to be open and we couldn’t find anything to do. Before long, we were headed back to Lyon to end the night at our favorite spots. Two things I learned from having travel friends that month: 1) you spend a lot more money , and 2) you drink a lot more (those Europeans… :P). But I’m joking. No one ever complains about drinking too much wine, do they, and going slightly over budget was completely worth it for the good company. I know I always say that leaving a place is hard, but this time, it wasn’t so much the place that was hard to say goodbye to, but the people. Having friends made a strange city feel a little more like home, like it was a place we could belong to. 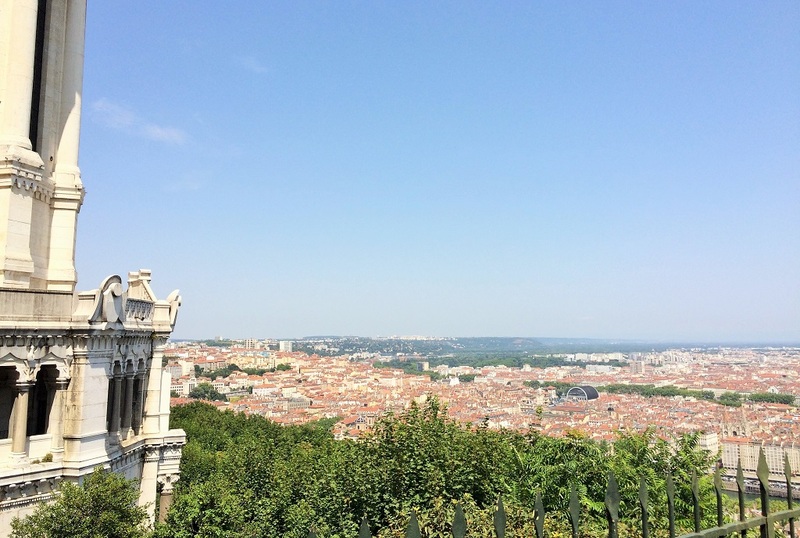 I still have a lot to share about Lyon, so keep an eye out for more detailed posts! And stayed tuned for the August re-cap coming soon! I know I’m super late with these re-caps, so tell me, where did you go this summer? And how do you make friends while traveling (especially as a couple)? All incredible destinations, Anna! I think I mentioned this when you announced your Poland plans, but it never crossed my mind in the past as a destination that should be on my list. But seeing your photos and hearing your stories, I’ve completely changed my mind! 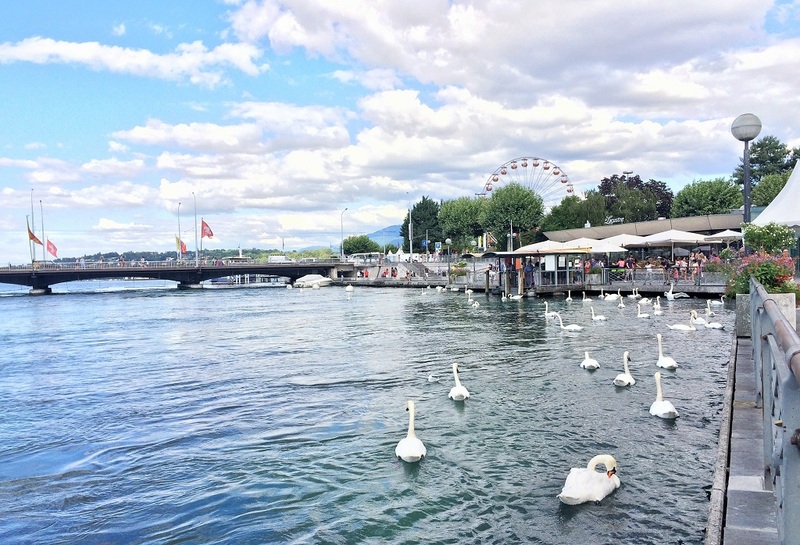 And Geneva– how stunning! It’s definitely one of those places I’ve always heard about but haven’t considered visiting. And I’d love to go. Oh and I completely forgot to address your questions… hah! As you probably know we were in Japan and Ecuador! :) It was really fun. I have to say that the friend-making can be kind of tough. We did stay with a couple in Ecuador and volunteered with them, so that was definitely an automatic friendship made (especially when we’re sweeping floors and cooking meals together!). Otherwise I find it a bit hard to make friends when we travel internationally and don’t already know someone. Not all locals are always interested in meeting tourists who come and go. So I’d love to know what other people think about this! Oh I hope you put Poland on your radar when you plan a Europe trip! It’s incredibly beautiful, with really good food, and very affordable! I always accidentally hit the “post” button too soon when I’m not finished with replying! But yeah we’ve found it difficult to make friends as a couple. When D was solo for almost 2 months, he made friends really quickly. But when you’re a couple, most people don’t want to be a 3rd wheel! I think we may try to attend more meetup events to meet other couples in the future! 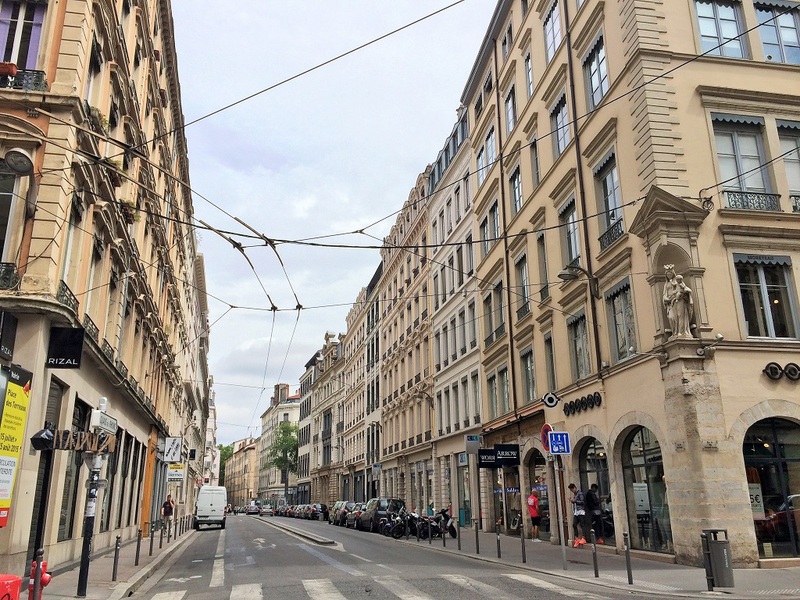 Those macaroons in Lyon – omg! Sounds like you had a wonderful time. When I was in a couple, we made friends mainly either through existing friends who knew people in the destinations we were travelling to, or by meeting with blogger friends along the way. I haven’t met up with too many blogger friends yet, but I really hope to in the next couple of years! Especially since most of my blog friends are coupled also. I bet you’re having no trouble making tons of friends solo now!! D says it was really easy to make friends when he was solo for a while. Anna, something weird happened! I read your post on my phone while I was on the train yesterday then I fell asleep straight after and dreamt I was eating Polish food. Despite the fact that I’ve never eaten Pilish food before, I woke up with the flavour in my mouth! That’s the power of your writing ;) Maybe it was my reminder that I must eat some Polish food before leaving the UK as we have lots of it here! I’ll keep you posted! Awww that is SO sweet Marcella! And how funny too about the dream! But yes, you must try some before you leave, because we both know that the international food in chile is not so great. I know that if anything, you can find pierogis in the grocery store. You need to spend the last days in London eating everything you can’t get in Chile!! Ahhh thanks so much for spreading the word about my blog Shikha! :) We are still in touch with our Lyon friends and who knows, maybe we’ll meet again in another part of the world. 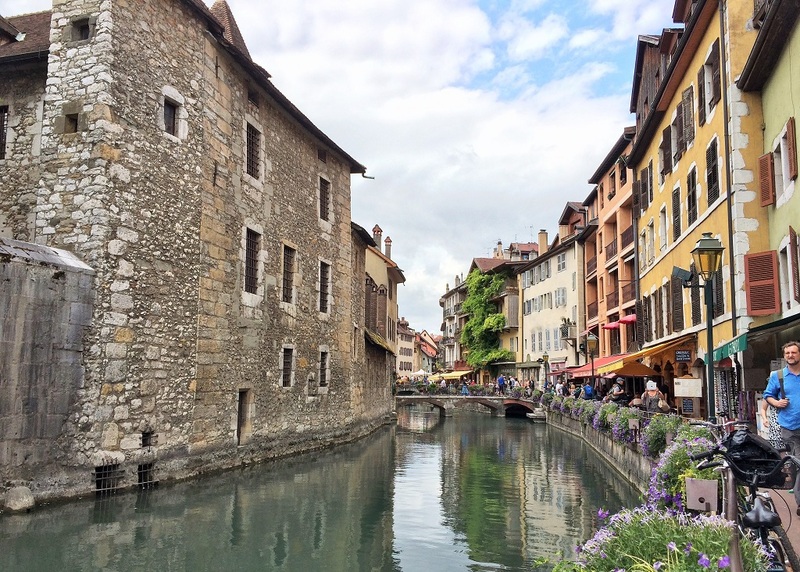 Don’t worry, I hadn’t heard of Annecy either until it popped up in some blog posts, and Sara reminded me to go there! I definitely want to see more of Poland after my little taste in Warsaw. If everywhere else is mean to be better, then I think it’s going to be a beautiful country. You have to go back and see Wroclaw or Kraków! They’re more charming than Warsaw because they stayed in tact. We wanted to go somewhere new in Poland (like up North) but we couldnt pass te opportunity to go back to our favorite places. So maybe next time we’ll try somewhere new too! So glad to see these updates back! Hope your sister’s recovery is progressing along nicely and you are enjoying being back on the road with D! Thanks so much Jenia! My sister has made a wonderful recovery :). It does feel so good to be back on the road again (and back to blogging!). Goodbye Kuala Lumpur. Hello… ?